new baby boy into our family in November...which I am so excited about! A little over a week ago, I had my baby shower and received so many wonderful gifts from family and friends. Among these presents, were some very special handmade things given to me by my two sisters-in-law. These two girls are amazingly talented and thoughtful. My one sister in law, Erica, knit this beautiful sweater for our baby boy. 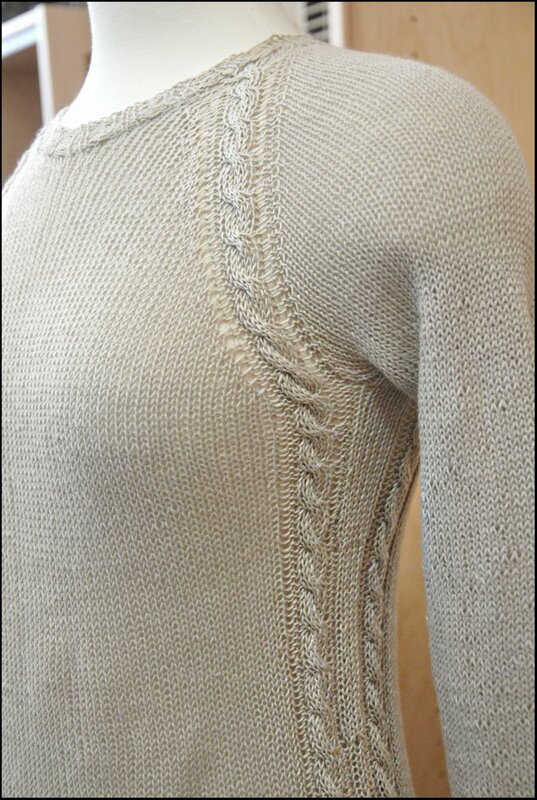 This is the Rufus Textured Cardi from the book Vintage Baby Knits knit from Knit Picks City Tweed dk. So adorable! And in my favorite color too! She also made this AMAZING mermaid for my daughter as a "big sister present". 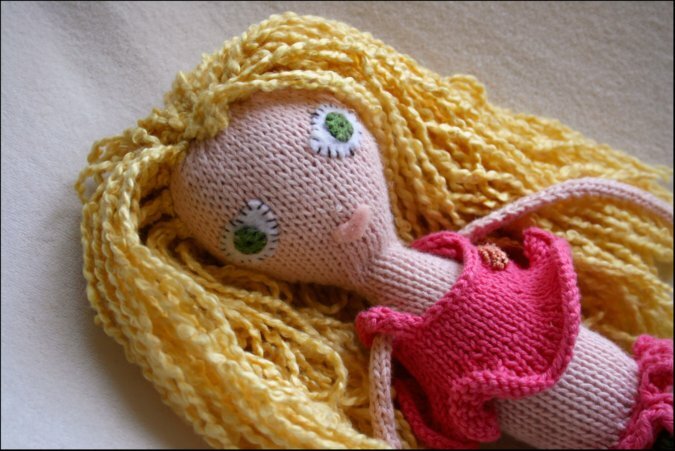 This mermaid is seriously one of the cutest knitted things I've ever seen. There is so much detail.. I know she must have put a lot of time into it. 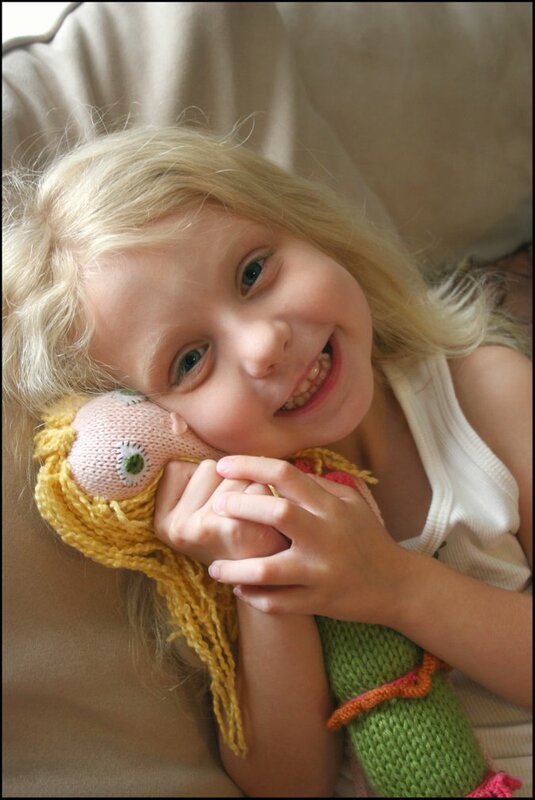 The pattern is called Mermaid from the book Dream Toys. I love this book and everything in it. My daughter's 4 year old dark-haired cousin has a matching doll with brown hair so that they can play mermaids together. So very sweet. And as you can see.. my daughter loves it! They have been inseparable friends lately. 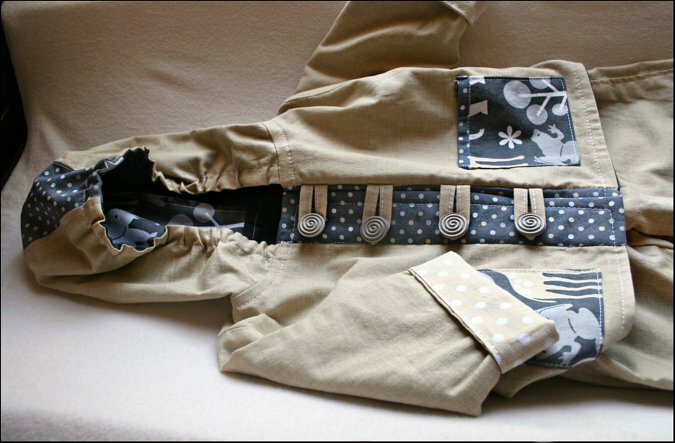 My other talented sister-in-law, Malaree, made this amazing handsewn jacket for our new little one. Yes. 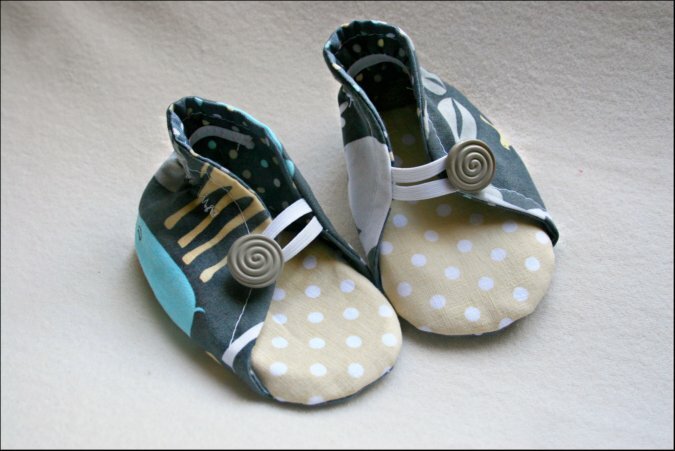 And EVEN matching shoes. She seriously outdid herself with this one. 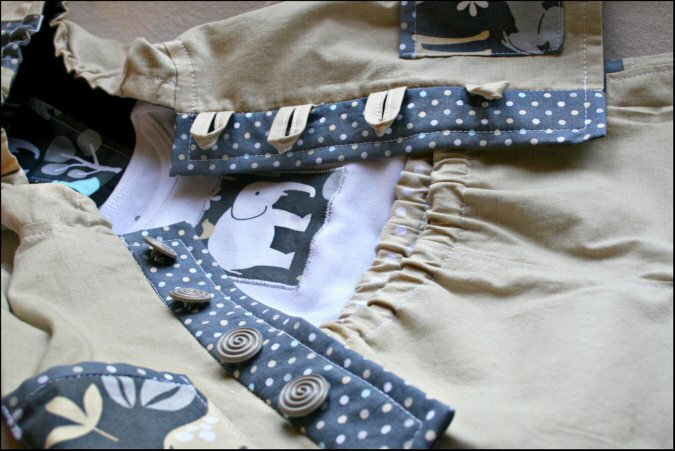 I cannot wait to try this outfit on our baby! These handmade gifts mean so much to me. It makes me feel so special that someone would spend the time to make these beautiful things for us. I truly appreciate all of the time and effort that went into each of these items, and they will be treasured for years to come. 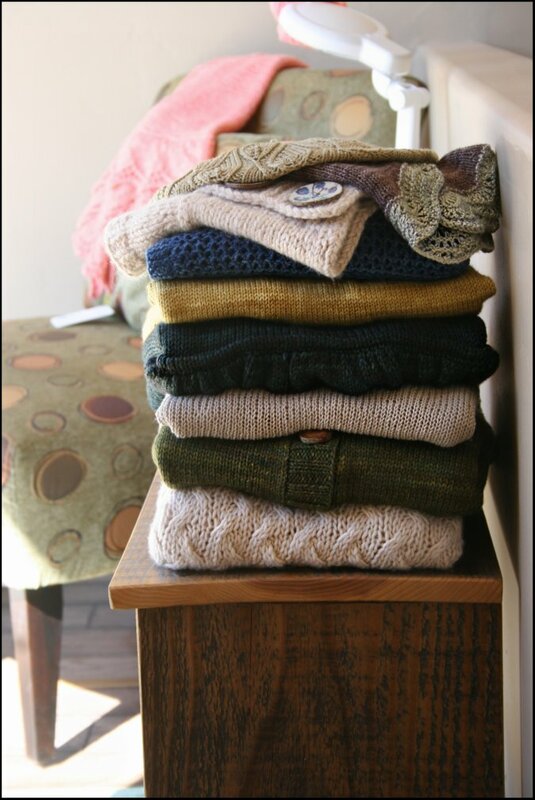 A few weeks back, Hannah sent me all of her book samples just in time to display at a Coastal Knits preview event at one of my local yarn shops, Ranch Dog Knitting. It was so fun to see the entire collection all together in one location! It also was wonderful to finally see Hannah's east coast knits in person. It's the coziest, comfiest, most wearable cardigan ever. I want one. Now. 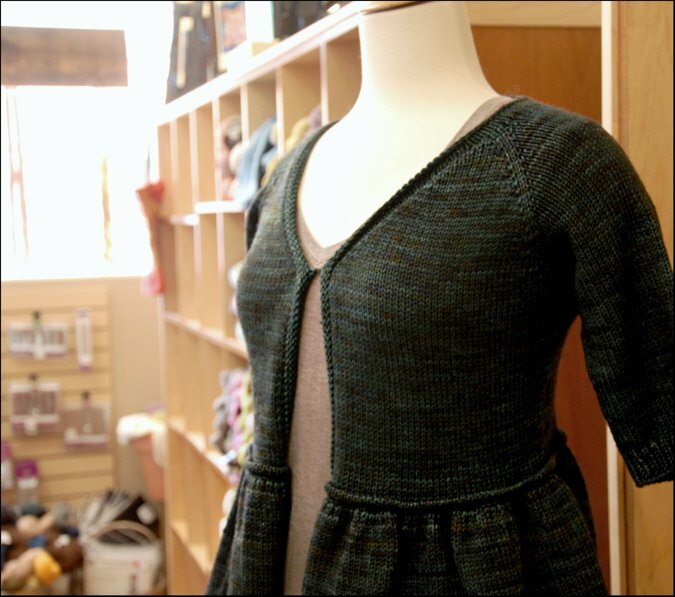 The Water's Edge Cardigan is also adorable! 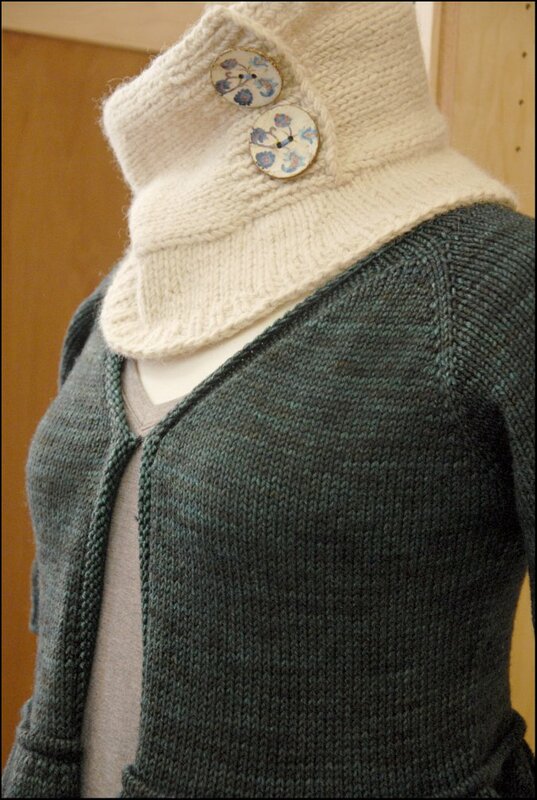 And I thought it matched quite nicely with my Cambrian Cowl. 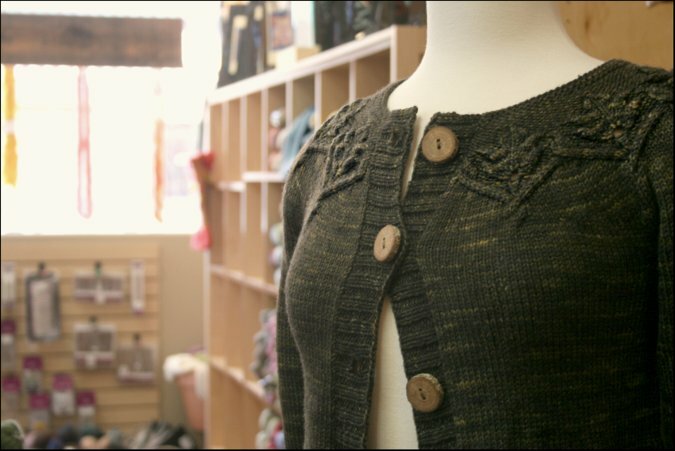 I was also quite enamored with the beautiful side shaping on the Bayside Cardigan. It was even more striking in person. 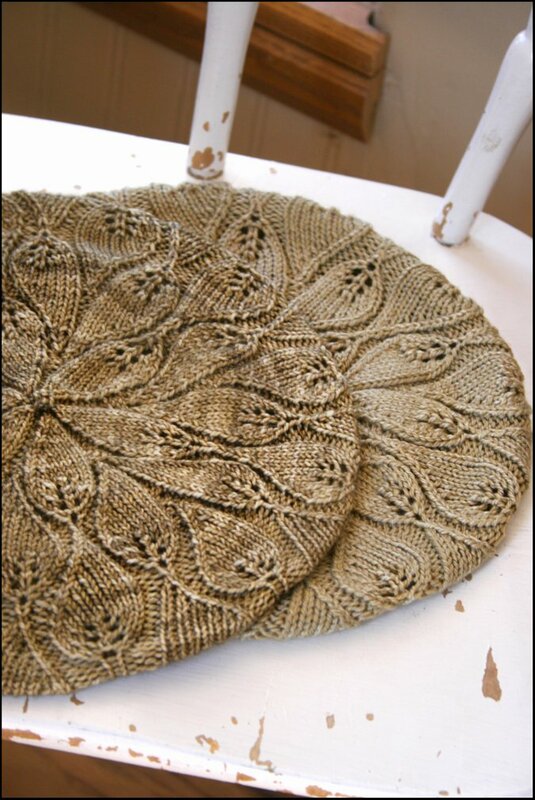 Here is a 32" Gnarled Oak Cardigan knit up in the Bronze Age colorway from Pigeonroof Studios. It's a bit hard to tell in this picture, but it's a rich coppery color. My Wildflower Cardigan posing with my Sand and Sea Shawlette. 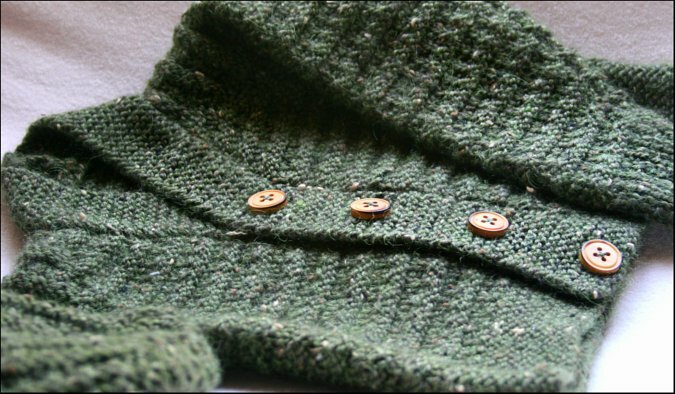 I often like to get my patterns test knit in an alternate color or yarn. 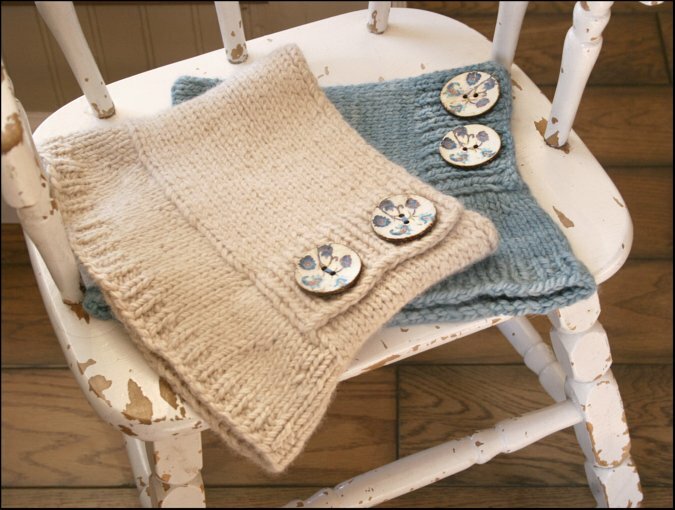 Here are my two samples of the Cambrian Cowl. 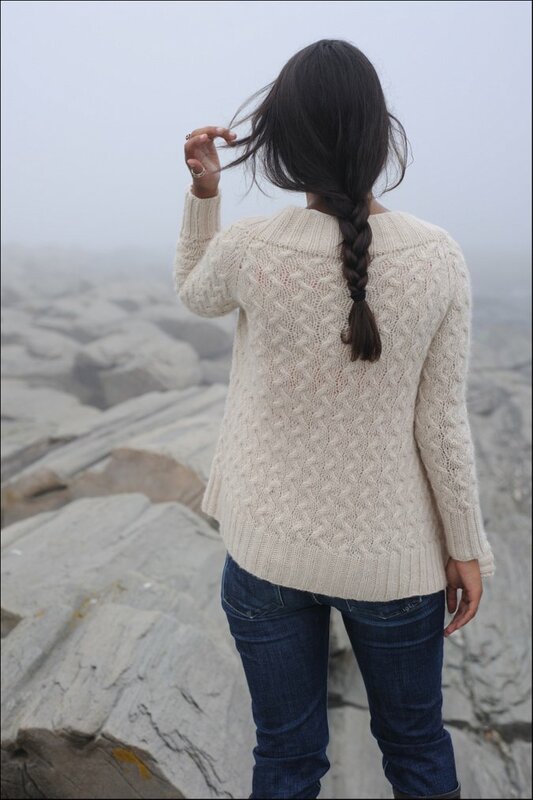 The cream version is the original from the book knit up in Alpenglow Yarn Big Fat Alpaca. The blue version was knit in Misti Alpaca Tonos Chunky. Both are excellent options for this design. 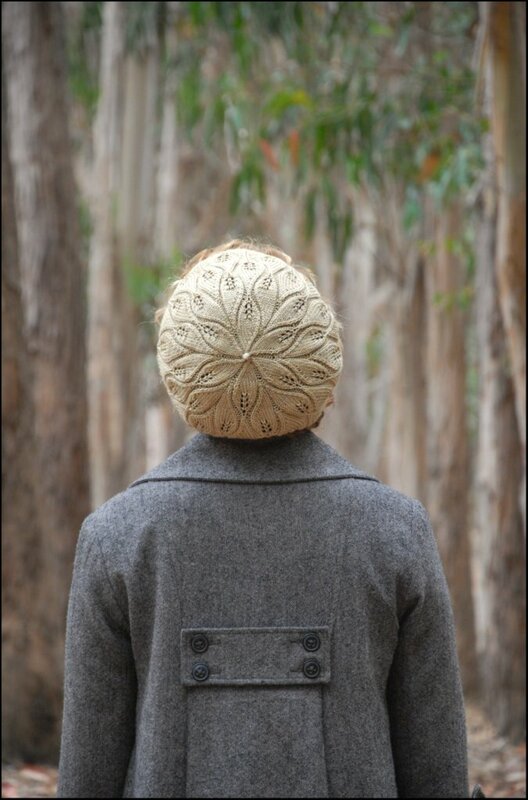 Here are two versions of my Rustling Leaves Beret. 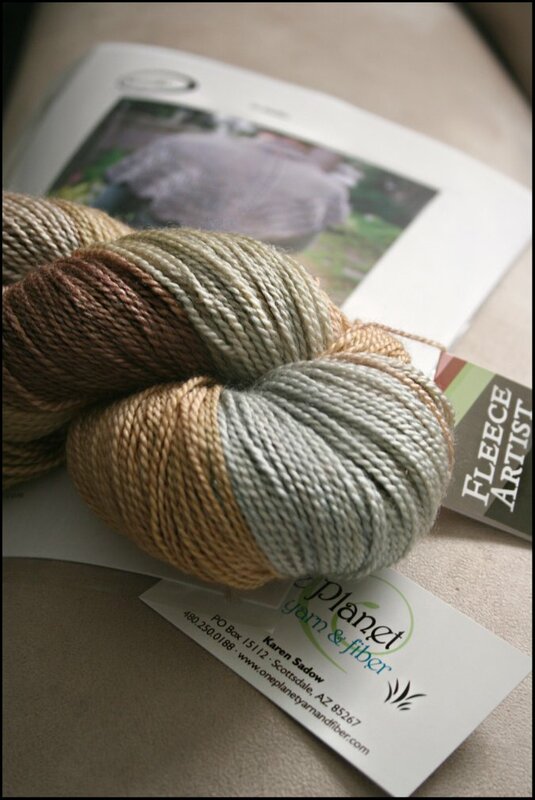 The lighter green is the original Tactile Fiber Arts version, but the tonal green beret was knit up in Madelinetosh Tosh Sock in the Wren colorway. Any sock weight yarn will work will work for this pattern, but Tosh Sock is an excellent alternative. 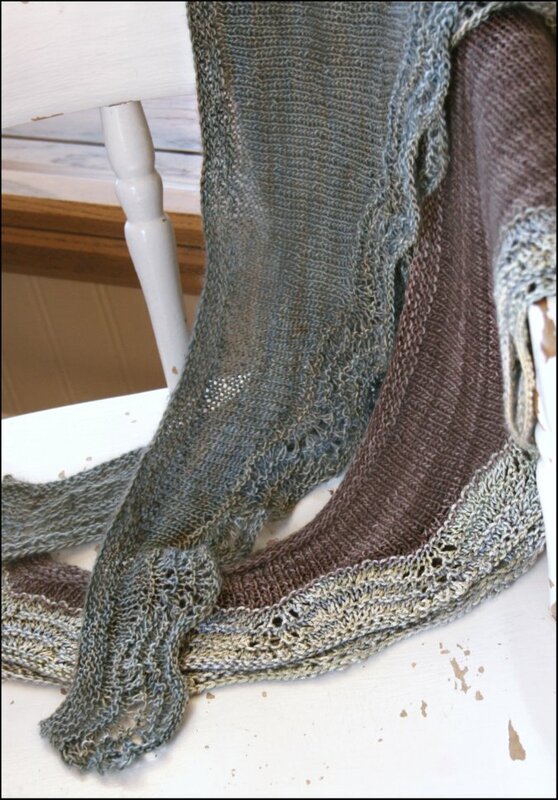 For the Sand and Sea Shawlette, I had my second version test knit in Madelinetosh Prairie in the Cove colorway. I wanted to show what this design looks like knit in one main color. 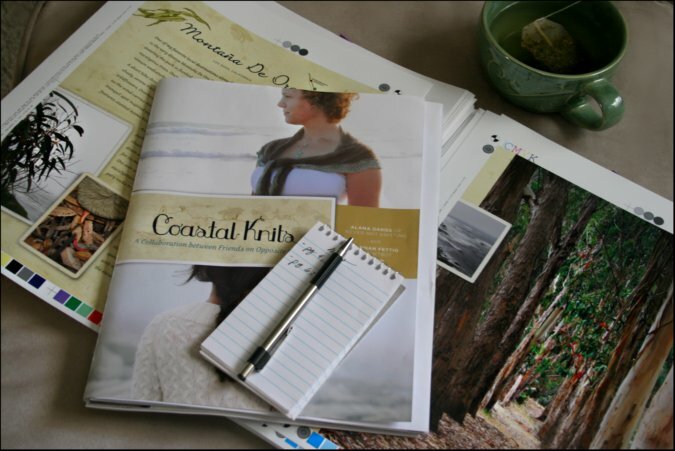 Since Cove is a beautiful blend of browns and blues, it still evokes the feeling of the Sand and Sea combining on the shoreline. 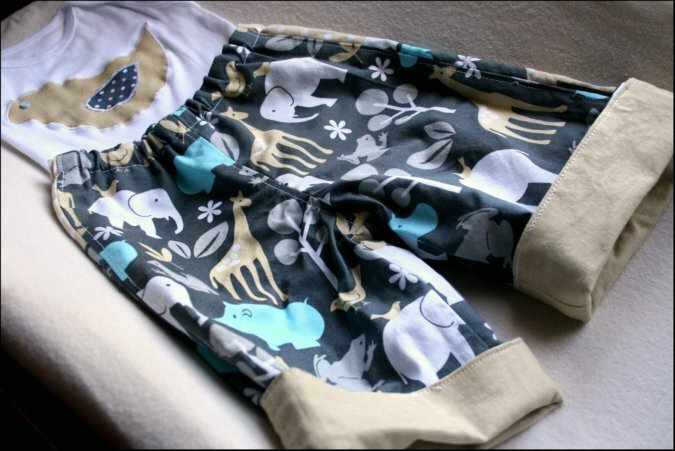 This is such a versatile design. 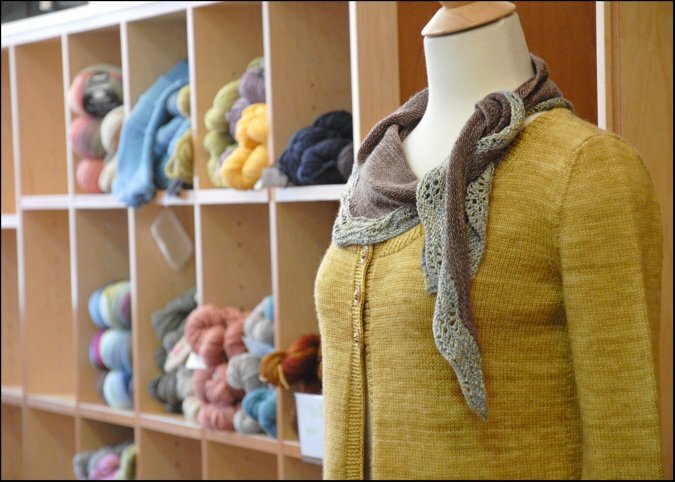 Any combination of lace or sock weight would be great for a light summery shawlette. But you could even do a thicker yarn for a more substantial shawl. 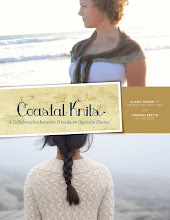 There will be two Coastal Knits trunk shows traveling the country very soon! 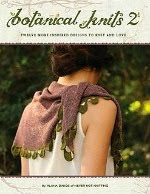 Please check the schedule here to see if it will be appearing at a yarn shop near you! 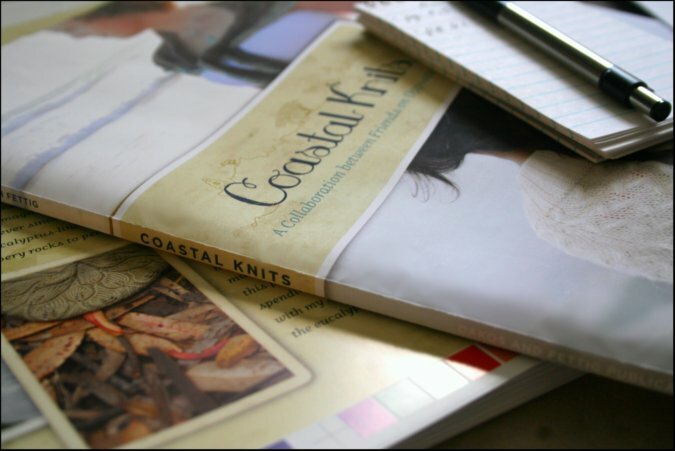 Over the weekend, I spent some time looking over the proofs for Coastal Knits trying to catch any last minute errors before it goes to press. Seeing it in these printed forms, although they are rough, makes this feel very real. 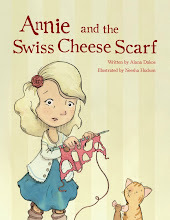 I am so excited about this book!!!!!!!! entering code "NNK1" in the checkout process. Click HERE to download the Episode 58 MP3 file. 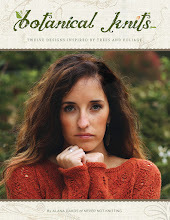 Are you looking for a new fall sweater project? 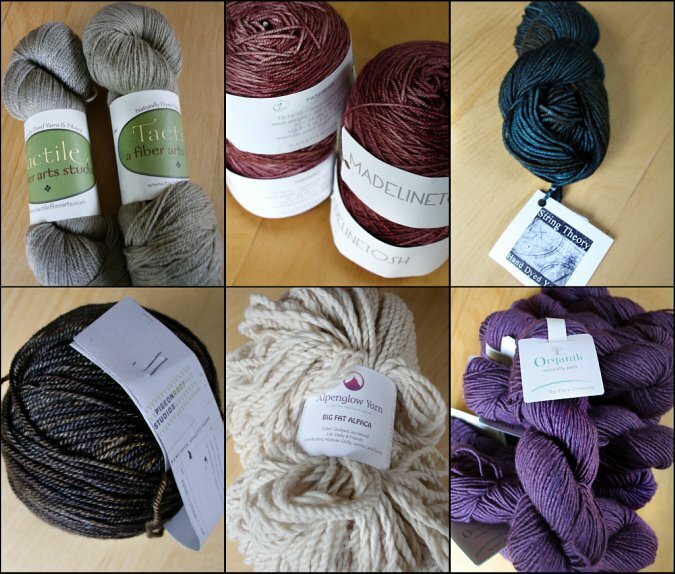 To enter to win these 4 gorgeous skeins of Three Irish Girls Springvale Dk in the Tree Fort Colorway provided by Pulling At Strings, along with the beautiful Lucette Sweater pattern by Amy Herzog, leave a comment under this post! Remember to include your contact information in your comment.. and only one comment per person please! A winner will be drawn and announced here on September 15. Please check back then to find out if you are the winner! 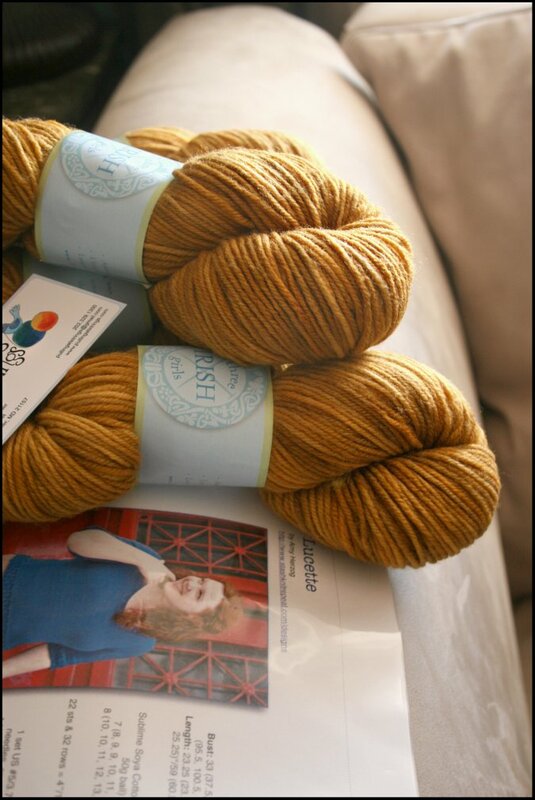 Someone is going to have one seriously beautiful sweater for Autumn! To learn more about Pulling At Strings online yarn shop and to hear a great story from designer, Amy Herzog regarding this unfortunate incident with the Lucette Sweater...,please listen to my latest podcast episode! Drawing Now Closed! Congratulations to Kellie, the winner! Receive 10% off of all Pulling At Strings orders by entering code "NNK10" in the checkout process. 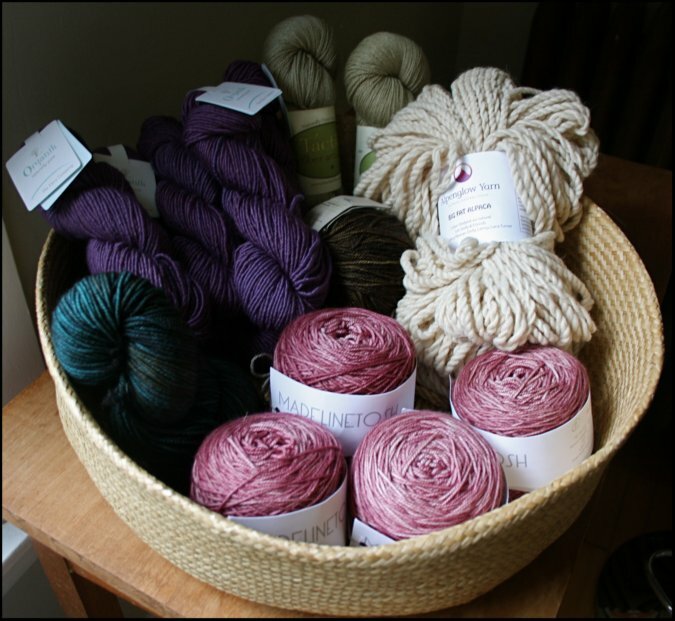 This offer is valid until midnight on October 1 at pullingatstrings.com and is exclusive to the Never Not Knitting podcast listeners and blog readers. Click HERE to download the Episode 57 MP3 file. Hello everyone! Unfortunately I have come down with a horrendous head cold and won't be able to record the new podcast episode today. I am hoping that by tomorrow my voice will sound much better.